If you aren't ready to subscribe to our subscription service, you can still buy July's box featuring Mr. 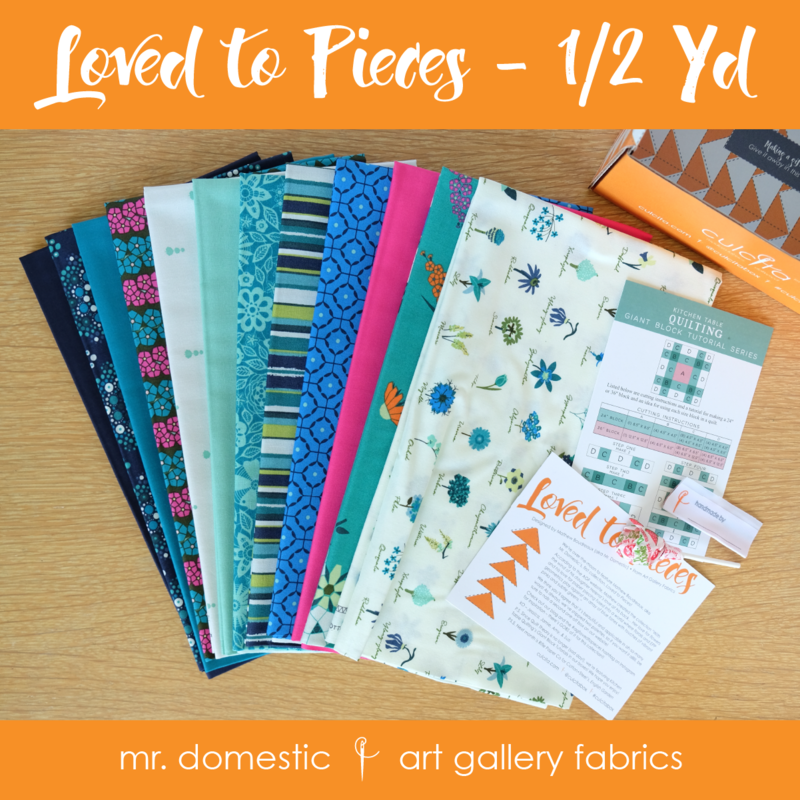 Domestic's Loved to Pieces collection! Bundle is a curated selection of 12 different fabrics – half yard style. Fabrics are from the collection, with a few basics added in to round it out. Your order will ship out within 1 to 2 business days. Price includes US domestic shipping!